Imagine a world that looks just like ours -- but with a do-over function. You could be the king of first dates! Basketball MVP! You could take back that private message about Karen’s snaggletooth you sent in a company-wide Slack channel! Or you could choose to countdown to midnight twice, and relive the very first glorious moments of 2019, which is, in fact, an option in this world. We can’t help you repair your professional relationship with Karen, but Crystal AirCruise can provide you with a New Year’s re-do. 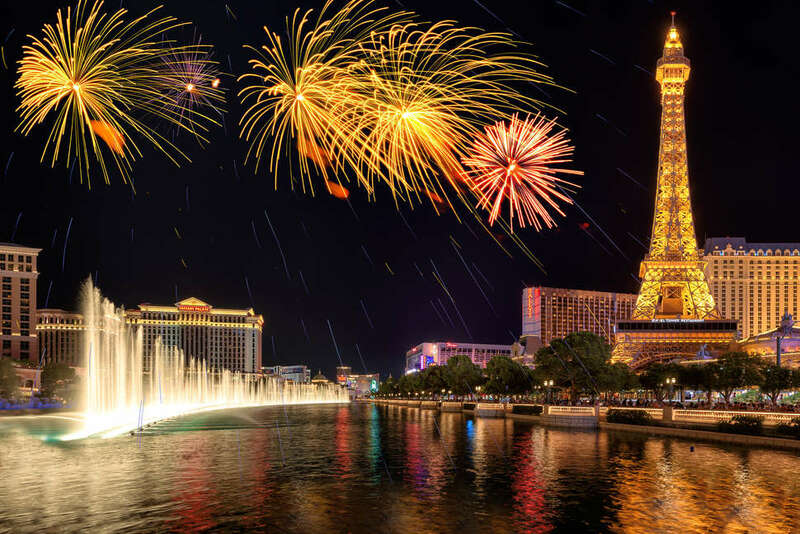 The luxury airline is offering an exclusive flight package shepherding travelers from Tokyo to Las Vegas, where they’ll get the opportunity to celebrate the arrival of the new year twice, on opposite sides of the world. If you’ve got a midnight kiss lined up, you'll get twice as much action. If you don’t, you'll double your odds of finding one. The package runs from December 29 to January 4, and it’ll only cost you a mere $26,000 -- because time travel comes with a premium, apparently. You’ll kick-off your journey with a stay at the Hilton Tokyo Odaiba, where you’ll dine at an ultra exclusive private party, watch sumo-wrestlers (obviously), and ring in 2019 with an outrageous firework show over Tokyo Disneyland. When you’ve celebrated sufficiently, you’ll board the opulent aircraft once more, and jet off to Las Vegas, passing through the so-called International Date Line, which will take you a full 24 hours back in time. In Vegas, where 2019 is still far-off, you’ll party while Calvin Harris performs at Omnia Nightclub in Caesar’s Palace until midnight strikes -- at which point you’ll finally say goodbye to the shitstorm that was 2018 once and for all. Then, before you head back home to Karen and her snaggletooth, you’ll have the distinct pleasure of watching Celine Dion perform, which is honestly the best form of time travel out there.